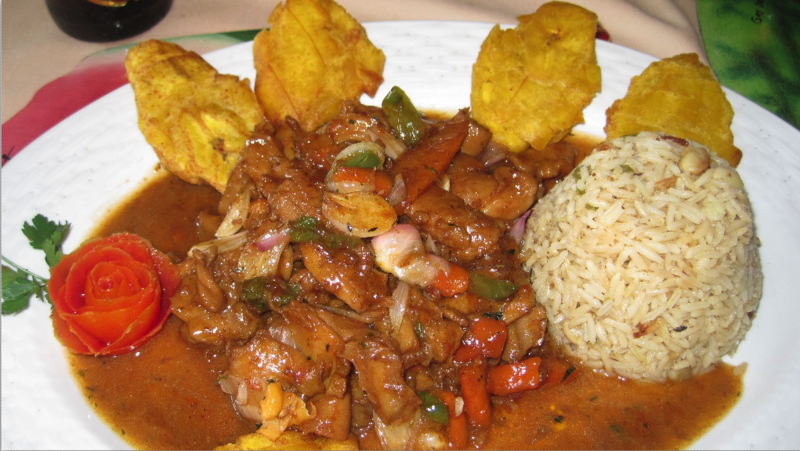 Lambi is stewed conch – it takes a little while to prepare but so worth the wait. It can be served with rice and fried plantains. Using a meat mallet, pound the conch until tenderized. Clean the meat thoroughly with lime and/or sour orange juice. Season well. For best results, keep it refrigerated overnight. Using a stove top pressure cooker, bring water to a rolling boil. Place the meat into the cooker and close cover securely with regulator in place. Cook for an hour until the meat is tender; remove from heat. In a skillet, heat oil and brown the meat evenly for 10 mins. Set aside the meat and prepare to make the sauce. Sautee the onions and shallots in the oil. Add tomato paste. Stir the meat into the sauce. Serve with rice and beans with a side a pikliz.